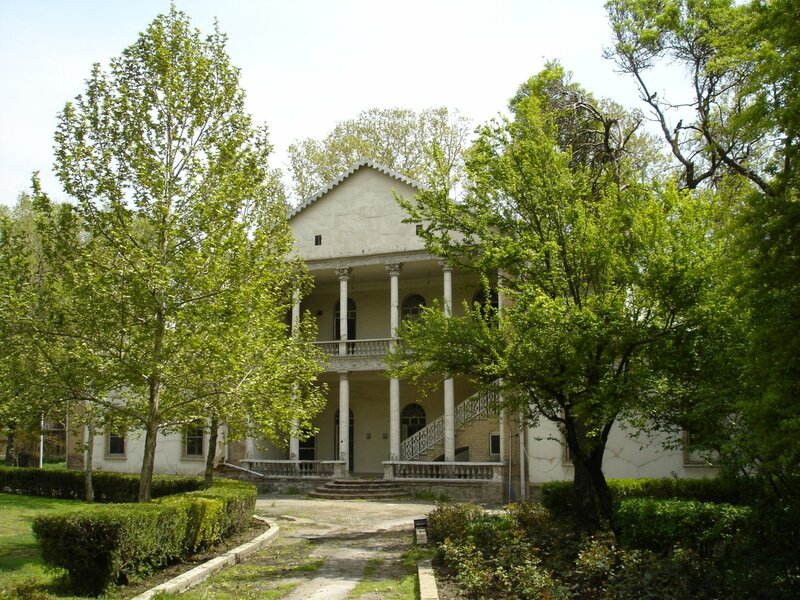 The legation’s summer move to Gulhak was abandoned in 1942. 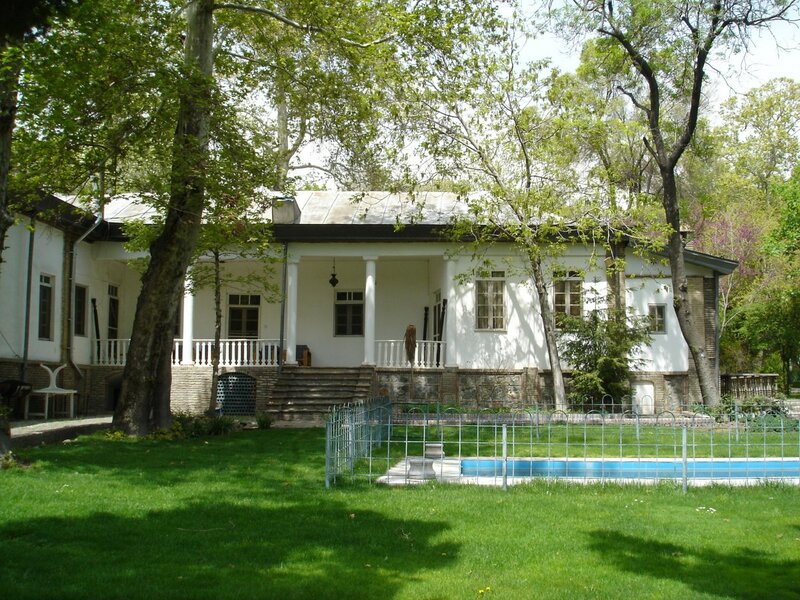 Thereafter, ambassadors (as the heads of mission became in 1944) who wanted to spend time at Gulhak chose to live in House K, which thus became the summer residence, with a splendid old tent pitched in the garden for dining. House A was converted into three flats in 1947, and was demolished in 1961 to make way for a house for the political counsellor. 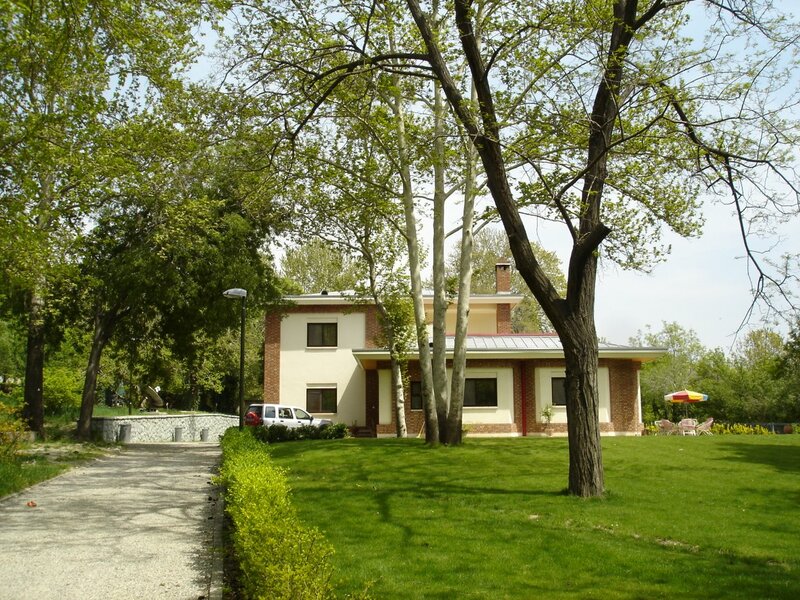 The post-War strategic intention was to house all of the many embassy staff, including the ambassador, at Gulhak. Richard Turner, the senior architect heading the Ministry of Works’ Cairo office, took the lead in 1947 in planning how the compound might be developed to suit this optimistic requirement. He sketch-planned a scheme for the whole compound with an enormous new residence, complete with ballroom, on the site of House A; a ‘staff house’, much like a mess, with 25 bedrooms and communal dining facilities, just north of the west gate; and six counsellor houses, nine other staff houses or bungalows, and extensive communal facilities. Few of these ideas survived the arguments between Post and London about what to build in which compound. By the mid-1950s, the grandiose building proposals for Gulhak had been whittled down merely to a self-contained three-storey block of [?] 12 flats for junior UK staff on the site north of the gate. This utilitarian building was completed in 1957. Various ancillary buildings and servants’ quarters were built around the same time in the service areas of the compound. Agreement was reached in 1957 to go ahead with two senior staff houses on the site of the original Houses B and C and with four junior staff bungalows, which were planned as a sawtooth terrace, on the site of the earlier Houses L and N: these were all completed in the late 1950s. An uninspiring new counsellor house was completed in 1962 on the site of the original summer residence, House A. By 1966, only two of the old houses still stood: F was then occupied by the military attaché and K was the summer residence. The last of the old houses to go was H: it had been used as the club since 1955. Lack of water in the qanats caused by developments elsewhere resulted in many of the fine old trees dying. Gulhak was connected to the city water supply in 1966. A Scud missile landed close to the pair of 1960s staff houses during the Iraq/Iran war in 1988 and they had later to be demolished. A tight complex of four new houses, designed by Andrew Slater of the FCO’s Overseas Estate Department, was erected in their place in the late 1990s. The entire length of the compound’s west wall was also rebuilt in the 1990s. 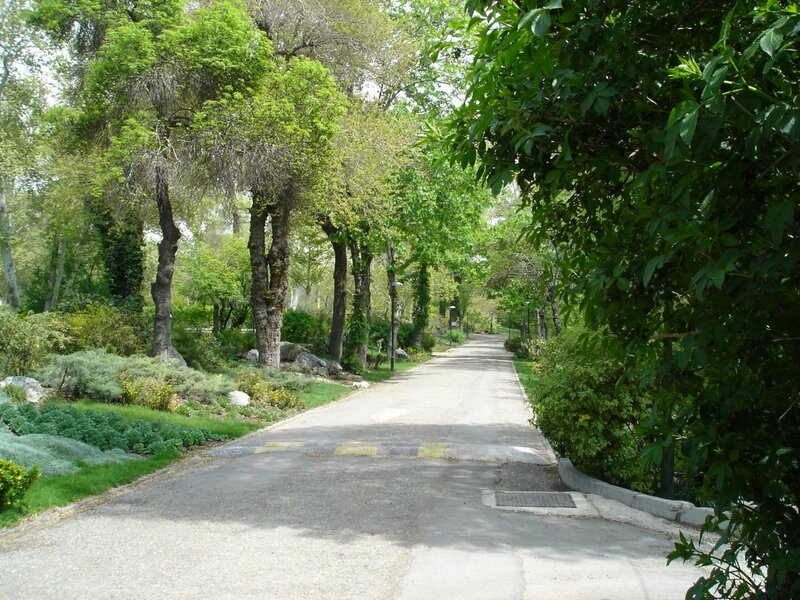 An ambitious scheme in the early 2000s to lease land on the west side of the compound to the Canadians and Australians for their development of new embassy offices came to nought. 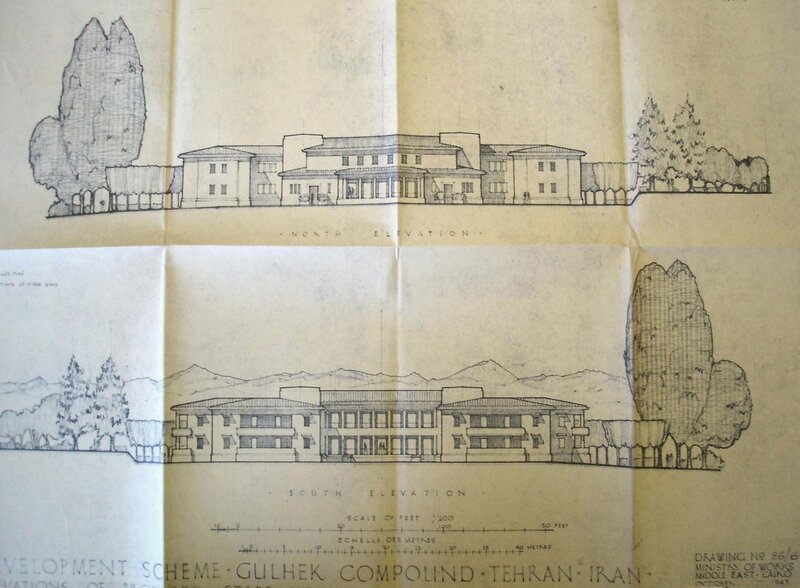 Ministry of Works proposal for compound redevelopment, 1947. Ministry of Works elevations of proposed staff house, 1947. 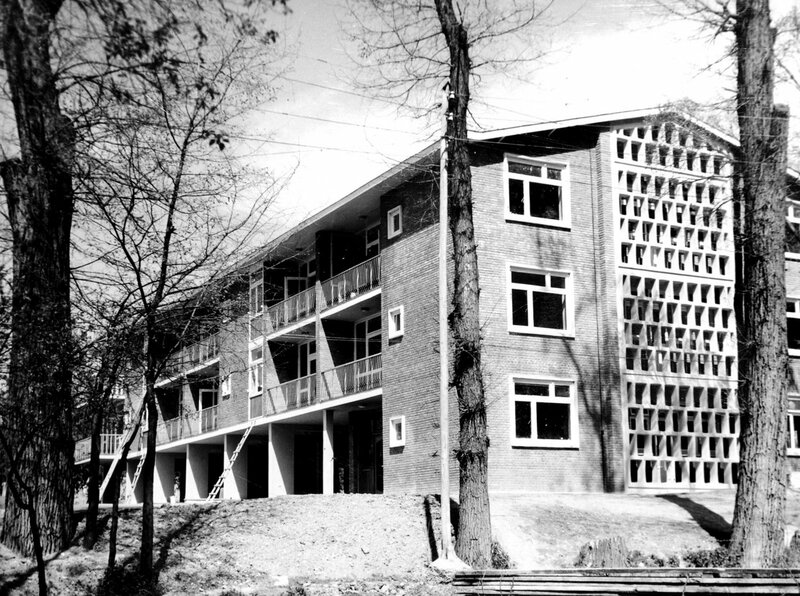 Block of junior staff flats, 1958. 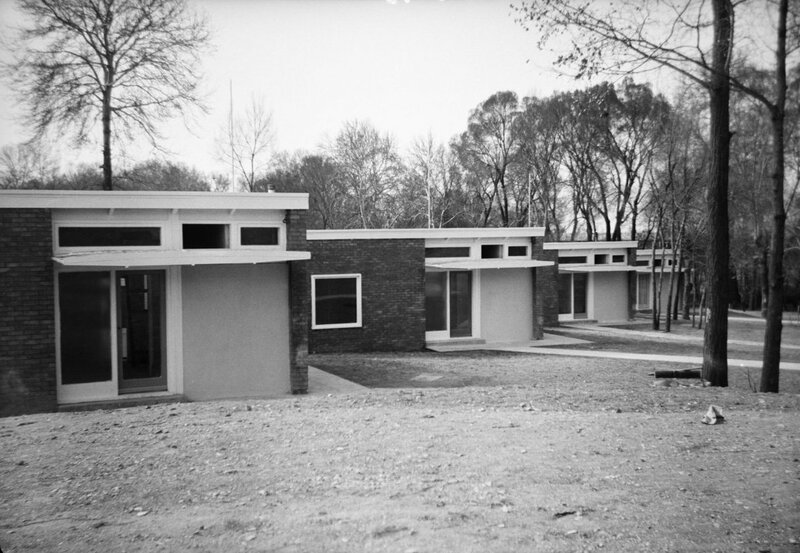 Line of four junior staff bungalows, 1960. Front of House K, used as summer residence 1940s-1990s, 2005. House F remains in use, 2005. Typical pathway in the Gulhak compound, 2005. Rear of House K, 2005. Group of new houses, 2005. The Commonwealth War Graves Commission leased the southern tip of the compound from the Ministry of Works in June 1961 for 99 years. The cemetery was inaugurated at a Remembrance Day service on 10 November 1963, attended by the British, American, Canadian, French, Indian, Netherlands and Pakistan ambassadors or their representatives. The cemetery contains 573 [check] identified graves, of which 552 are those of members of the Commonwealth forces who died in the two World Wars. 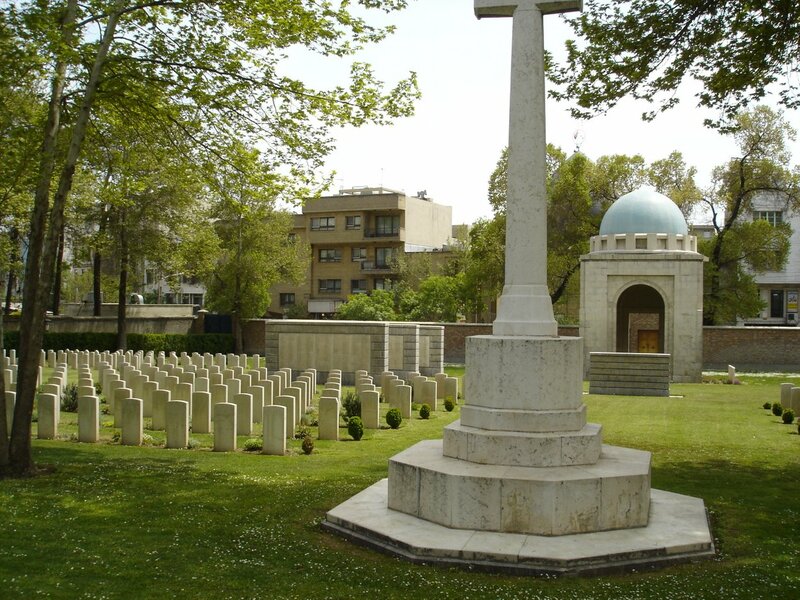 The memorial in the cemetery commemorates by name 3,595 soldiers of the Commonwealth armies who died in operations in Iran during the First World War. 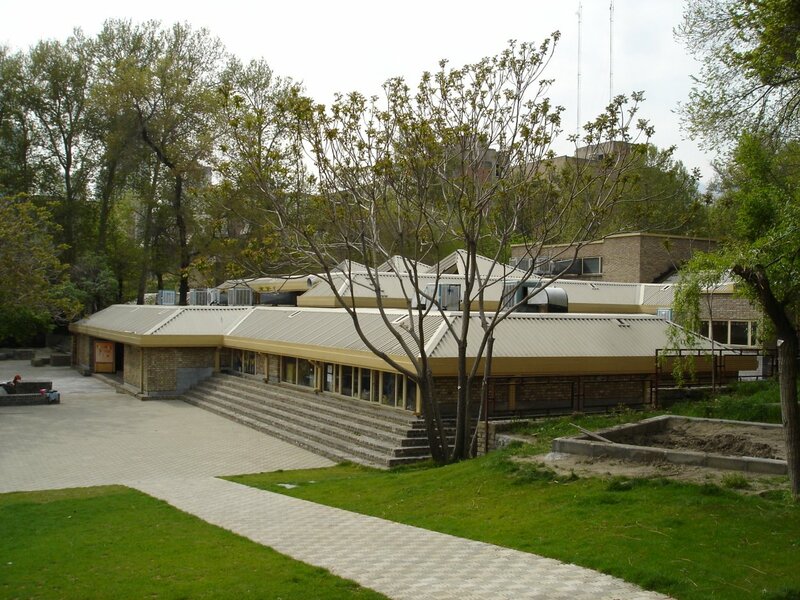 The British School, which started life in the mid-1950s in House C at Ferdowsi, leased the northern tip of the compound from the Ministry of Works for twenty years in 1960 and opened its new building [designed by ?] with 95 children in April 1960. 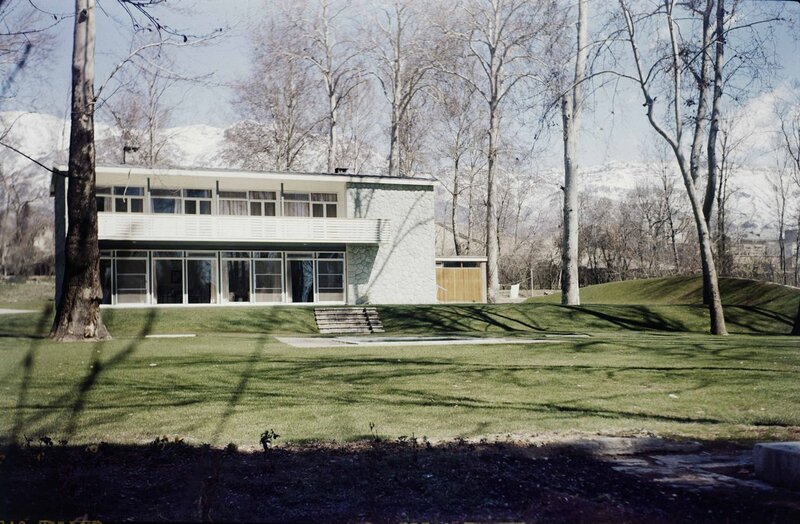 The school hall was inaugurated by HM The Queen on 3 March 1961 during her State Visit to Iran. The school was privately run without government subsidy. In 1965 the Ministry of Public Building and Works granted it a licence to level and use as playing fields for organised games (but not as a general playground) an area, formerly the Embassy vegetable garden, just north of the block of staff flats. A junior school was built here in a UK local authority manner during the 1970s. Both these schools closed in 1979, and were later leased to German and French schools respectively. From 2000 until 2011, the British and Dutch embassies ran a joint school on the premises, [and ? the Germans]. 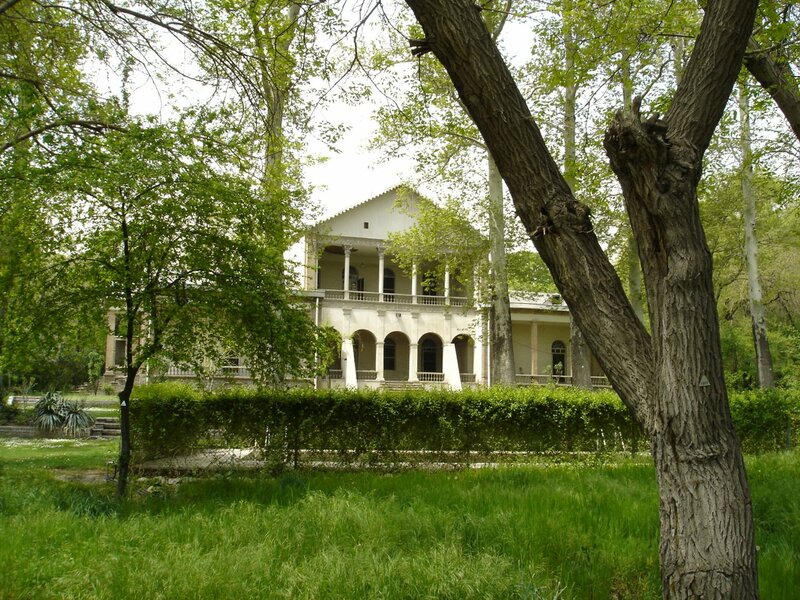 The British Institute of Persian Studies leased 4,920 square metres of compound land on a ground lease from 1974, on which they built an educational facility, designed by Reza Khazeni, in 1976. Part of the Commonwealth War Graves Commission cemetery, 2005. Part of secondary school, 2005. 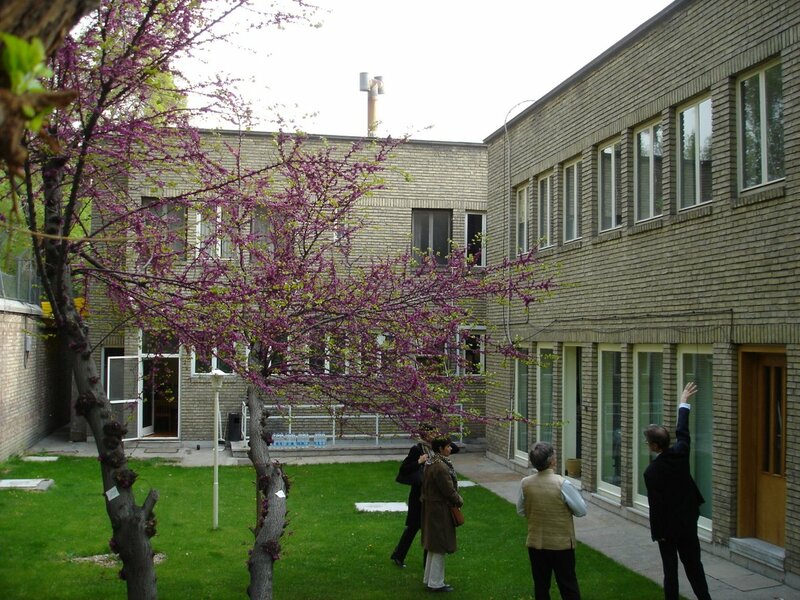 Part of British Institute for Persian Studies Institute, 2005.